Coppell senior midfielder Jeremy Basso and his teammates react after their match against Grand Prairie at Mustang-Panther Stadium on Tuesday. The Cowboys lost, 3-1, in second round of bi-district playoffs. 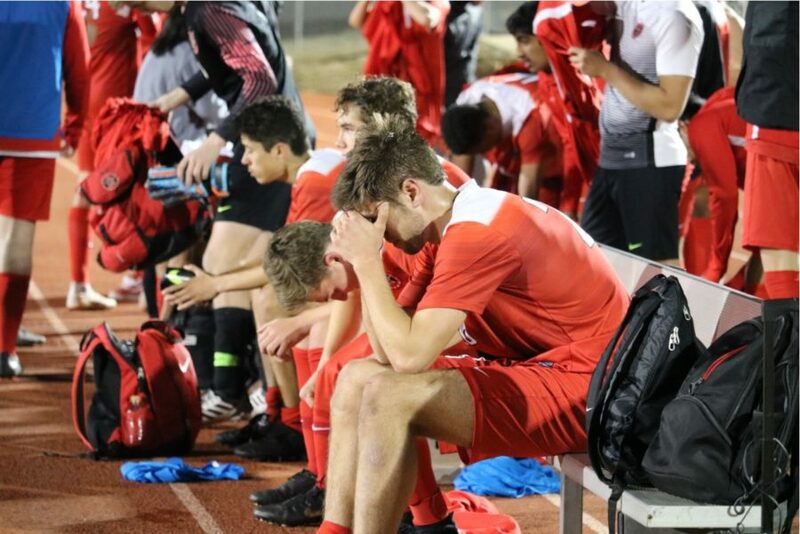 GRAPEVINE- As the sound of the final whistle traveled through the Mustang-Panther Stadium, the Grand Prairie boys soccer team went wild with joy, knowing it is still in the race for the state championship, while Coppell remained silent with its heads down. 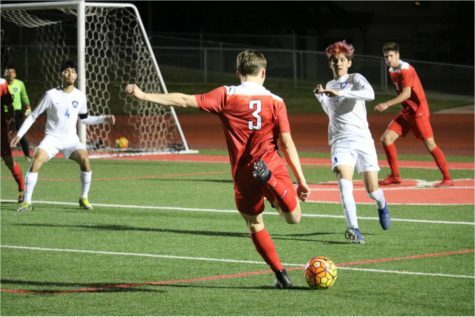 In a 3-1 defeat to the Gophers, the Cowboys were eliminated in the Class 6A Region I area playoffs, concluding their season and leaving the team’s dream of winning the state championship dashed. Like his other 13 senior teammates, CHS senior forward Joe Ruedi walked off the field wearing the Cowboys red and white jersey for the very last time last night. Coppell made several mistakes in the defense. Grand Prairie took advantage of the Cowboys’ mistakes and scored the opening goal in the fifth minute thanks to a great scissor kick by Grand Prairie junior striker Baltazar Jimenez. Down 1-0, the Cowboys began to grow more confident in their plays and managed to get several close attacking plays, but nervous mistakes remained a problem. Coppell forward Adam Marez crosses the ball into the box during the match against Grand Prairie at Mustang-Panther Stadium on Tuesday. The Cowboys lost, 3-1, in second round of bi-district playoffs. 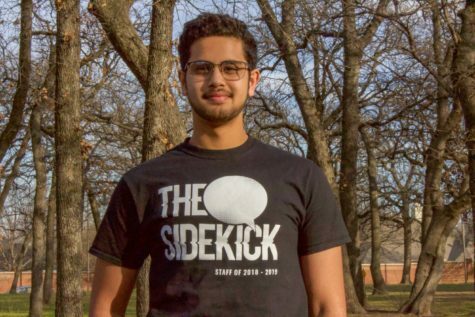 A glimmer of hope emerged in the 61st minute when CHS junior forward Tom Vazhekatt scored the Cowboys’ first goal with a well-placed shot off a great cross by CHS senior forward Jeremy Basso. With the score standing 3-1, with only 20 minutes left, the stakes were high. Nine minutes, later Vazhekatt once more, but the assistant referee ruled the goal offside to the protests of the Cowboys. The Cowboys continued to make great buildup plays till the ball reached the last quarter of the field, where Grand Prairie’s defense held strong. No more goals came in the dying minutes, leaving the final score 3-1.